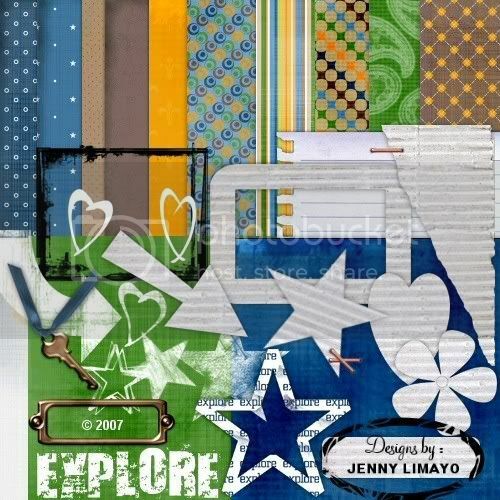 Scrappin' Jen: My new kit:: EXPLORE now at the store!! My new kit:: EXPLORE now at the store!! It's been a while since i made a new kit, actually I started making this since last month and since i am busy with all other stuffs it was only a week ago that i finally able to finish it. When I have spare time i make 1 or 2 papers or elements and i am happy how the kit ended up. If you have seen almost all of my designs, i was keen on making girly or feminine kits but this time it was for the boys (although you can use it for your other layouts as well). You can view my other products here.